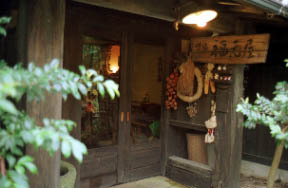 The lodge of country simple hospitality. 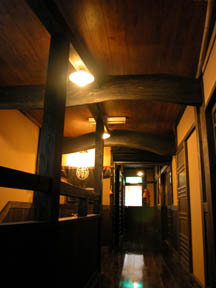 Inside of a hall of the Heisei 13 facelift. 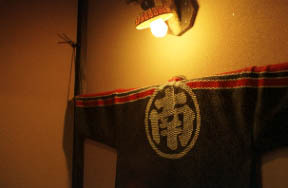 Fire fighting, the Minami-Hanten jacket, a flower, a charcoal sack, etc. are raising an atmosphere inside a hall. 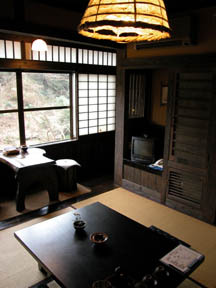 The umbrella made into the naked light bulb with Japanese paper, the composure enough guest room unified into black painting to the door of a closet. 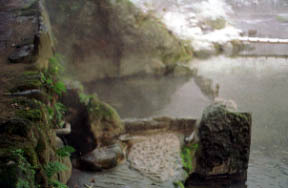 The open bath of the riverside.